~Sunday~ Bob and I are both huge fans of Maggie Smith and have been waiting for The Lady in the Van to become available to us on Netflix. We recently finished the final season of Downton Abbey, during whose run we enjoyed many, many witty, snarky, and meme-worthy quips of The Dowager Countess, for which we gratefully thank Dame Smith. The (mostly) true story of the relationship between Alan Bennett and the singular Miss Shepherd, a woman of uncertain origins who "temporarily" parked her van in Bennett's London driveway and proceeded to live there for 15 years. I really enjoyed this movie on a few levels: its characters, its storylines, and its story-telling technique. Maggie Smith pulled off making it possible to both love and hate her character. And Alex Jennings had me, at once, infuriated with and empathetic of his character, Alan Bennett. The story-telling technique was engaging to me, once I was sure that the second person in the house was the Bennett self who "does the living," playing against the Bennett self who "does the writing." Although this film was categorized as a comedy (along with a biography and a drama), and it certainly contained a lot of humorous situations, I'd argue that its underlying story was a tragedy. Who's story is it to tell when it comes to a life story other than your own? I gave this movie 5 out of 5 stars. Have you seen this movie? If so, what did you think of it? Wondering what other movies I've seen since 2003? We'd give it 5 out of 5 too. 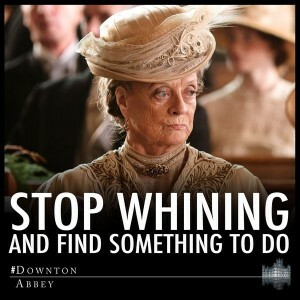 Maggie Smith was phenomenal, as always. I thought it treated her character respectfully.